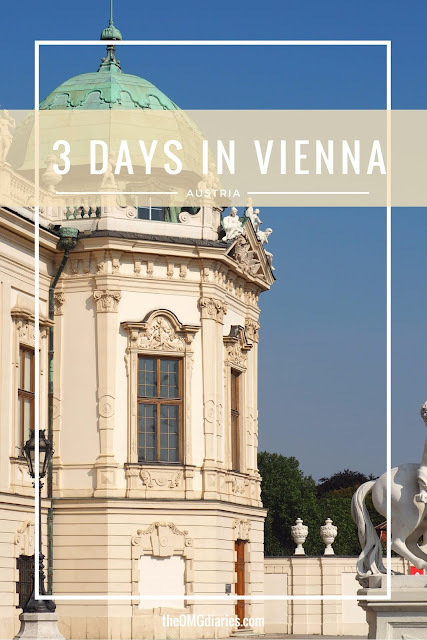 Our first full day in Vienna started quite late (thanks to our 6am bedtime). After getting ready we headed out to eat. We decided to eat before we got the metro to the centre but the cafes and restaurants around our hostel weren't great so I can't recommend anywhere. The weather was lovely so we decided we'd just have a stroll around and look at some sights. We walked past the Kunsthistorisches Museum and then through to Michaelplatz. 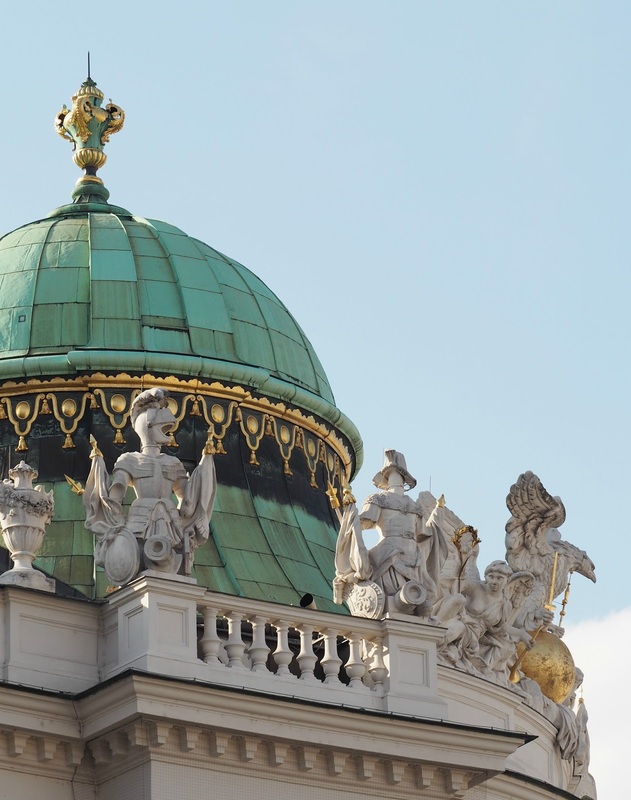 The buildings in this area, including the Hofburg Palace, are stunning. We then ended up in St. Michael's Church, we were actually on the hunt for a toilet but ended up sitting in here for a little while because the architecture was amazing! I'm not religious so don't often go inside churches but this one was really quite stunning. After this we headed into the shopping district in hunt for some food and ended up eating at Nordsee, a self service fish restaurant which had become a new favourite of mine. We saw St. Peter's Church and carried on wandering. We ended up getting a bit lost, even with our map. After taking the long route we finally got to our end destination: the Rathaus. There was a food market so, of course, we had to sample some food! I had some noodles, while my friend Soph decided to try something a bit more local. She had a selection of sausage, gherkins and sauerkraut. We got up a lot earlier on our second day, grabbed a sandwich from a nearby bakery and hopped on the tram to the Schon Palace. Entry to the grounds and gardens is free, if you wish to look inside then you'll have to pay. We walked through the garden area and up the hill where you get a lovely view of both the palace and city behind it. We then got the metro to the centre and visited the Nachts Market. There are plenty of stalls selling clothes and souvenirs. There was also a lot selling wall hangings and incense. Everything was quite expensive and definitely made for tourists. It was still nice to wander around, as you make your way through the market you eventually reach the food stalls, there are also restaurants running through the centre of the market where you can sit down and eat. Like the other stalls the prices are fairly high but still cheaper than eating at a proper restaurant. We got some dip and falafel which ended up being a lot more pricy than we thought, I refer to it as the falafel fiasco. After eating our many falafels we walked to the Hundertwasser Haus (designed by Friedensreich Hunterwasser) which I found on Instagram. This was my favourite sight in Vienna. While you can't go inside the actual house you can explore the outside and the 'village' next to it. 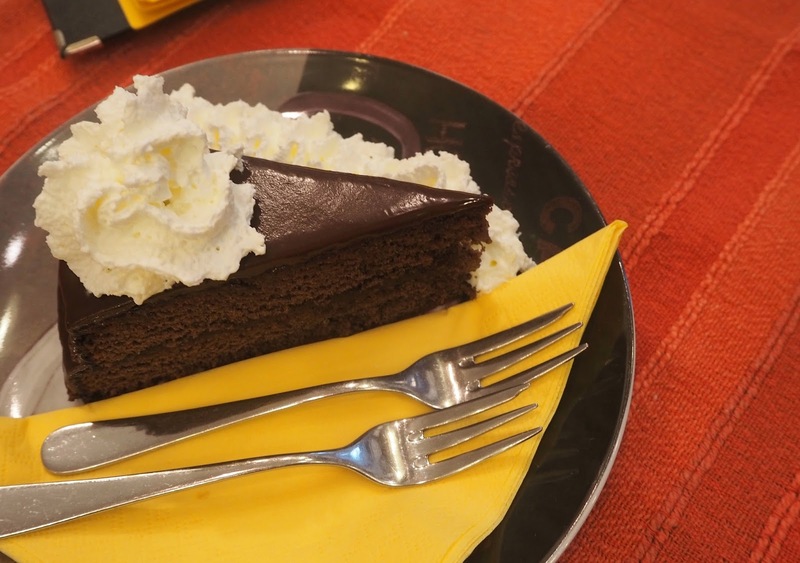 There is also a cafe where we stopped for a drink and to try the famous sacher torte. We were planning on trying it at Sacher Cafe but we ran out of time. It was yummy but I wasn't blown away. Next time I'll try it at the cafe to see if the 'original' is any better. The cafe played a video about the building and artist which was really interesting and meant we were able to learn about the building and area before actually going too look at it. Our third and final day in Vienna started with brunch. We decided to make the most of our time before our train and have one final explore of the city. We asked our hostel for somewhere nearby to have breakfast and headed to their recommendation. We were on the outskirts so decided to eat before heading into the city. Mostly because I didn't think I could cope with the journey on an empty stomach. We ended up at a very traditional Austrian cafe. It was a little creepy but I actually really liked it. I'm afraid I have no idea what it was called. I decided to skip the breakfast menu and finally try the famous beef goulash. I also ordered a very strong coffee. All the coffee in Austria seem to come with a glass of water which is a nice touch. My friend ordered a mocha but there was definitely a translation issue because she ended up with a very strong black coffee instead! 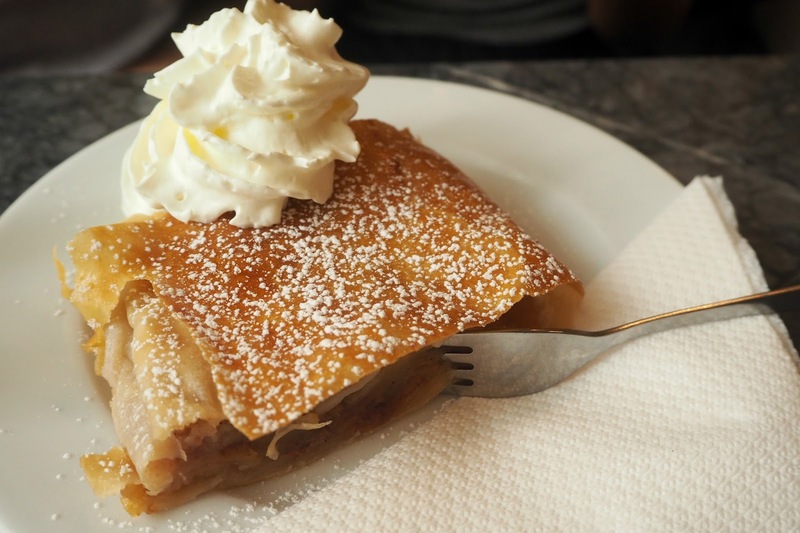 The food was good and I treated myself to some apple strudel too. Obviously, I had to sample all of the local delicacies at once as I'd left it until our last day in Austria. 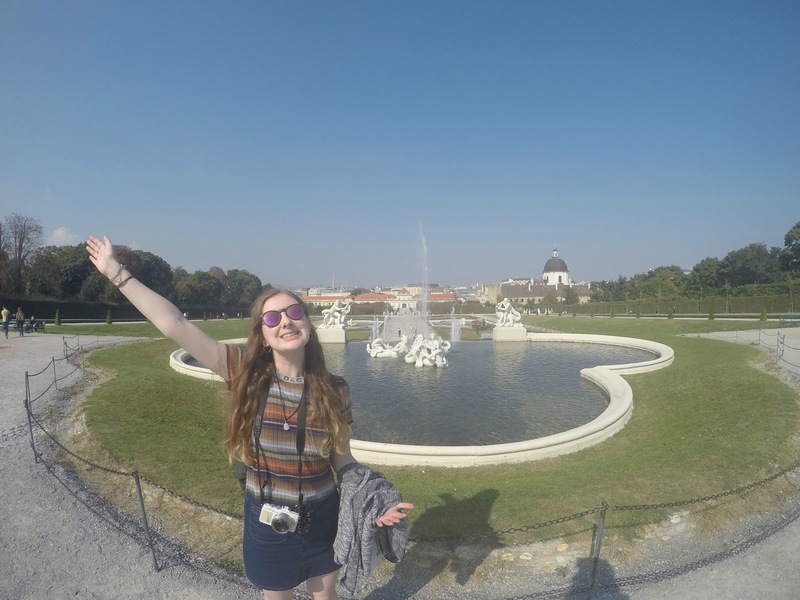 The main sight we wanted to see before we left the city was the Belvedere Palace. Like, the Schon Palace we decided not to pay to go inside but instead wandered around the gardens and grounds. 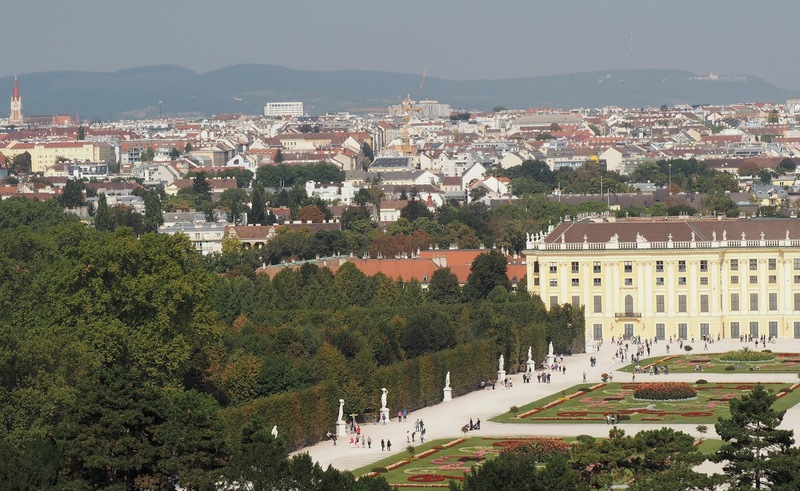 I preferred the architecture of this palace but the views from the Schon Palace were definitely better. After a quick explore and photo session we headed back to our hostel, collected our rucksacks and headed to the train station ready for our next stop: Bratislava. Staying central can get expensive, even if you choose to stay in hostels, so think about staying on the outskirts. The metro is affordable and easy to access. Make use of the many supermarkets around the city and make your own lunch to enjoy, food can get pricy! If visit during Opera season then you can enjoy it for free on the big screen outside the opera house. Get the metro card. You can get 24, 48 or 72 hours depending on the length of your trip. 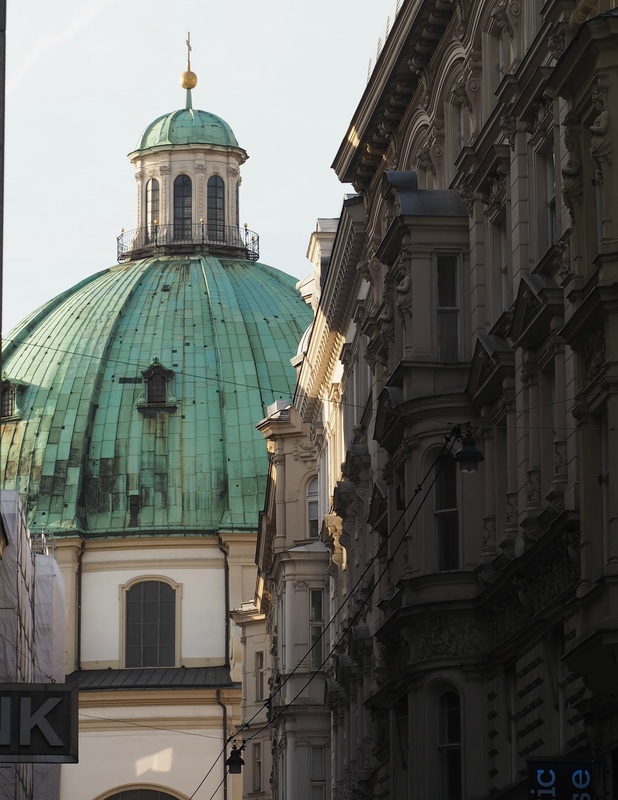 Have you visited Vienna? What did you think to the city?